New Year’s Day in Pottstown means one thing: it’s time for the 5th Annual Polar Bear Plunge! 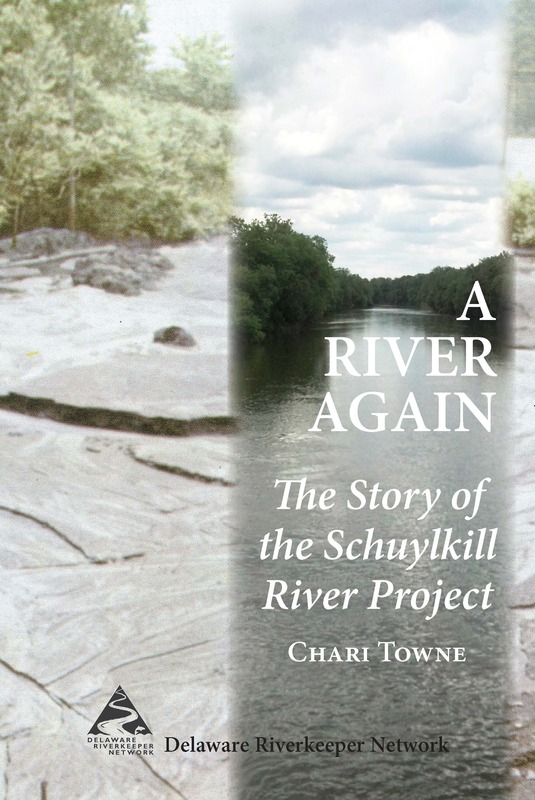 Come on out to Riverfront Park at 140 College Drive to watch, or join in by plunging into the Schuylkill River at 10:30 am. All participants must sign a waiver. There will be plenty of other activities to keep the sane folks entertained, from a Christmas Tree Toss to the Fruitcake Roll, a bonfire, a card game, hot dogs, sauerkraut, hot chocolate and coffee. Everything starts heating up at 9 am, but that’s just a figure of speech; the weather report is calling for an overcast day with flurries possible. Read all about it here in this Mercury article by Frank Otto. Two years ago I took the plunge, but I have been a wimp ever since. Still, I expect to be there tomorrow morning to cheer on the brave Polar Bears of the Pottstown area. Will you be taking the Plunge? This comes to us from the Pottstown chapter of SCORE. Having just received two spam-type emails from two separate friends’ email accounts that had been hacked, this seemed timely. Many people often overlook Internet security until word of a new virus or email “worm” hits the headlines. Even then, it’s easy to assume that existing firewalls and virus software are enough to safeguard computers and precious data. The fact is that as the Internet has grown in sophistication, so too have the threats to the security of the people who use it. One technology firm that screens emails for spam and viruses on behalf of small business customers estimates that 3.6 percent of messages contain a virus. Even if you strive to be alert for suspicious emails, a distraction or familiar-sounding sender is all it takes for one to slip through. As a business owner, you must be prepared to protect your IT hardware, software, and data resources. The first step is to educate everyone at your business about the dangers and set policies for using the Internet and opening email attachments. For example, don’t let employees use file sharing Web sites and prohibit downloading applications from unknown sites. All your computers, networks, and email servers should have antivirus software and other security features. Use a firewall to block incoming traffic that is not needed for your business. And, update all operating systems, software, and security measures on a regular basis. Older versions are more vulnerable to attack. If you discover a PC is infected, take it off your network so that fixes can be installed. Symantec.com offers a full range of anti-virus, anti-spam and computer problem solving solutions for small business. The Small Business Center portion of the firm’s Web site has dozens of articles on computer security and maintenance, such as downloadable publications on protecting Windows operating environments, managing risk, and other timely security topics. Another helpful information source for computer security is smallbusinesscomputing.com, which provides news, discussion forums, tips for evaluating system security needs, and a buyer’s guide for various security products. The Security section of Microsoft’s Small Business Center at www.microsoft.com/smallbusiness also provides information to help familiarize yourself with various Internet threats and how to ensure your small business IT resources are fully protected. To learn more about technology issues facing your small business, contact SCORE “Counselors to America’s Small Business.” SCORE is a nonprofit organization of more than 10,500 volunteer business counselors who provide free, confidential business counseling and training workshops to small business owners. Call 610-327-2673 for the Pottstown SCORE office, or go online at www.pottstownscore.org. Not too far from St. Peter’s Village, Frogtowne Artisan Creations just celebrated its first anniversary. This new venture is managed by Colin Macy, a 2009 graduate of the Oregon College of Art & Craft. 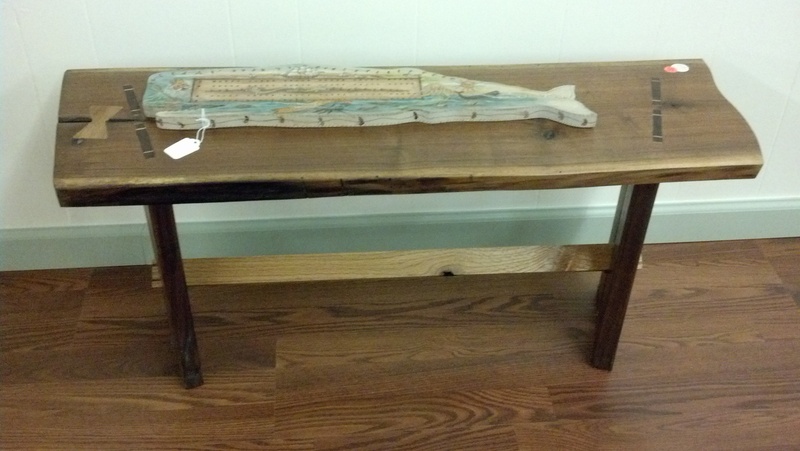 Colin is not only a furniture maker, but a businessman promoting and selling the work of other local artists in a wide open store/gallery located at 1190 Ridge Road in North Coventry. There are lots of choices for holiday gifts and extended hours to help you find a unique gift for everyone on your list. Virtually all the artists whose work appears in the Frogtowne gallery are from Chester and Montgomery counties. 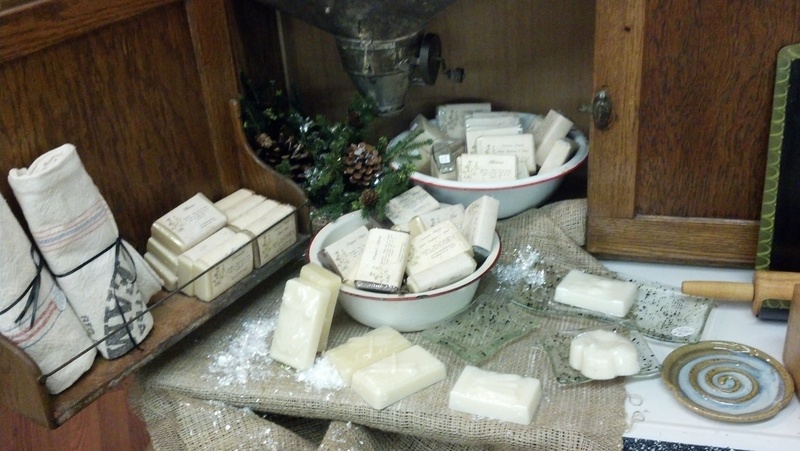 Shown here are handmade soaps created from all-natural products by Susan McCafferty of Canterbury Naturals. 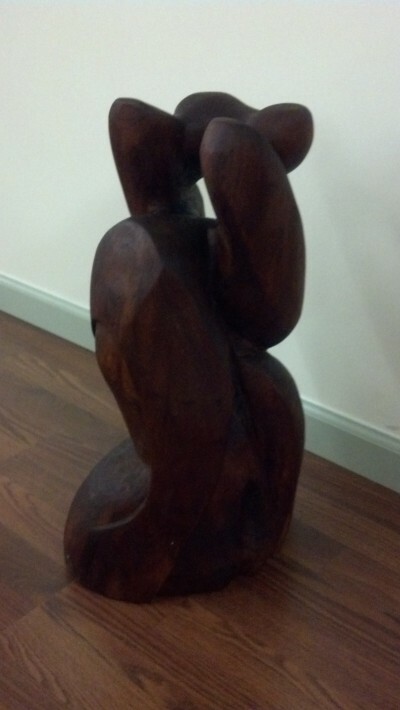 Also shown is a bench by Colin Macy and a wood sculpture by Michael Gilligan of Kimberton. I just loved browsing through the vintage black and white photos produce by The Vintage Image Shop of Pottstown. Owners Erik and Jennifer Maximenko find old images in the public domain, many with recognizable, famous people, and they restore, print and mat them; some are framed. If I ever ran my own art gallery, it would probably be strictly a photographic gallery. If you’re in a nostalgic mood, or want some vintage images to decorate your home or office, check them out. These are just some of the nearly 40 artists whose work is displayed and available for purchase at Frogtowne. There are also paintings by Joseph Hoover of Pughtown, pottery by Ruth Hayes of Harmonyville, jewelry by Heather Lampron of Oley, and furniture by Colin’s dad, Brad Macy. Frogtowne is, in fact, something of a family affair. Colin first learned the art of woodcraft from his father, who in turn had learned from his mother. Read this beautiful blog post by Brad’s brother Chris to get a sense of how a love of wood and its possibilities was passed from generation to generation. And then make Frogtowne a stop on your shopping rounds this week. You’re sure to find something that will surprise and delight someone close to you. The Secret Studio returns for a third year at ArtFusion 19464. Looking for a way to make holiday gift shopping easier for your children? Then be sure to check out VanGogh’s Secret Studio, a fun opportunity for kids 12 and under to shop for special gifts for family and friends. The studio is fully stocked with goodies for everyone on their lists, from relatives to teachers and coaches. All items are handcrafted and range in price from $1 to $5. The Workshop will be open Saturday, December 15 from 10am to 3pm and Sunday, December 16 from 12-3pm at the ArtFusion building, 254 E. High St.
ArtFusion recommends children come with a list and a budget. Parents can download a simple form from the ArtFusion website: www.artfusion19464.org. The ArtFusion elves will help the children select gifts and stay within their budget. Shoppers will even get their gifts wrapped for free! Parents must remain in the gallery while their children shop. The Studio is a fundraiser for the non-profit ArtFusion 19464. 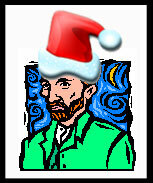 • DECEMBER 15TH ONLY – Van Gogh’s Secret Studio 10am-3pm at ArtFusion 19464, 254 E. High St.
kids 12 and under. Young shoppers will be able to choose from a special selection of handcrafted gifts priced from $1-$5. Volunteers will be on hand to help children shop, and all purchases will be wrapped. Get a FREE Trolley Ride through the downtown and also a stop at The Sly Fox Tasting Room! You MUST BE 21 or OLDER to enter Sly Fox. Have you purchased your Hometown Holiday Raffle Ticket yet? Here is how it works . . . . . .
Purchase your raffle ticket for $25 from the Pottstown Visitors’ Center at 17 N. Hanover Street or Cole’s Tobacco at 215 E. High Street or Grumpy’s at 137 E. High Street. ONLY 300 TICKETS ARE BEING SOLD! Shop at four different participating stores in the downtown – spending a minimum of $25 each – or $100 in one! Return your completed Raffle Ticket to the Pottstown Visitors’ Center at 17 N. Hanover Street no later than 5PM on December 22nd in order to be part of the drawing. Receipts must be stapled to your Raffle Card in order to qualify. For the list of participating merchants, click here. Don’t be left out in the cold!!!! . . . Enter Now and Win! Speaking of the moon, you might want to consider a copy of Owl Moon by Jane Yolen, for ages 5+. It’s about a girl and her dad, who go out on a snowy night to see if they can spot an owl. 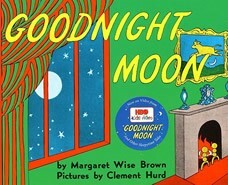 This is another great bedtime book because it’s quiet and poetic. (How could you spot an owl otherwise?) Here’s an unforgettable quote: “Somewhere behind us a train whistle blew, long and low, like a sad, sad song.” Okay, this is making me cry… I once heard the aforementioned son whispering those words to himself in the tub when he was just a toddler, and I knew then that he was taking everything in; a child’s mind is a kind of sponge.